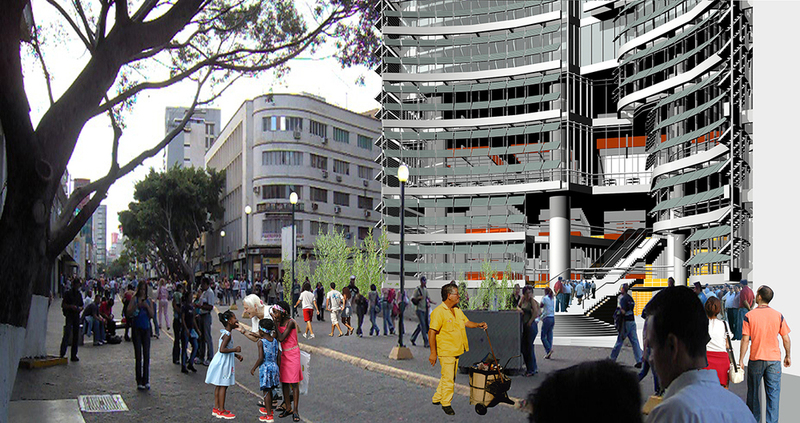 Restructuration of the Galerías Notre Dame building. First, to relocate, in an architecturally appropriate and attractive building, those retail vendors who have been occupying the Sabana Grande Boulevard. This meets a societal obligation to these most neglected vendors. 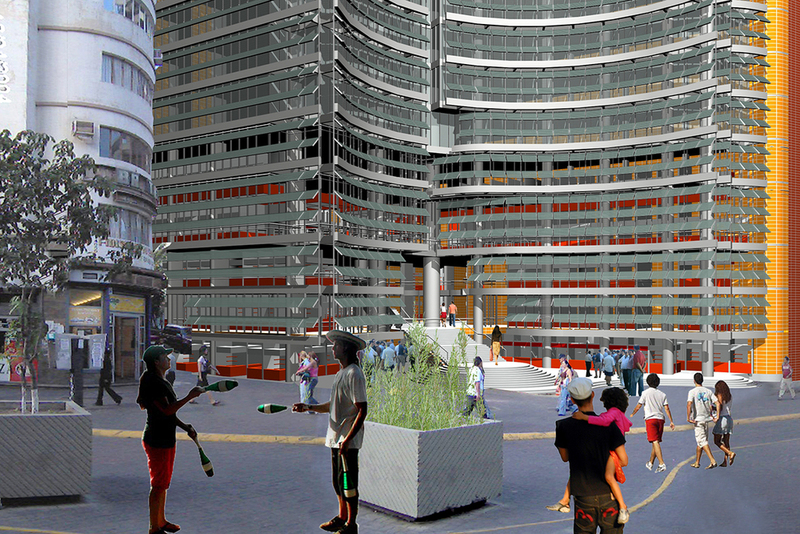 Second, to meet an urban-scale objective by recovering the original empty space on the Sabana Grande Boulevard, completing and enriching the public space. Third, to collaborate with the in-fill of Sabana Grande by finishing a building in the area. Fourth, to respond to the demand for parking and offices. Finally, to provide a simple and economical space for recreation and services, with attractive terraces; the Food Court. Thus the project aims to resolve the lack of facilities such as public bathrooms, as well as providing places to eat or relax. The Galerías Notre Dame building project, originally conceived as an office building, was acquired by the Mayor of the Libertador municipality, in order to relocate the vendors who had occupied Calle Real in Sabana Grande. These unplanned microbusinesses had grown so large that the urban space in this major avenue in the capital city of Caracas had lost its open nature and became crowded, inhospitable, unsafe and nearly uncontrollable. It should be noted that this response solves a current problem, in that it tends to a social reality that had been ignored in the past under its traditional uses. The solution enriches the urban space at the same time that it tends to those most in need, providing an intensity of life tied to reality and the nation’s current circumstances.